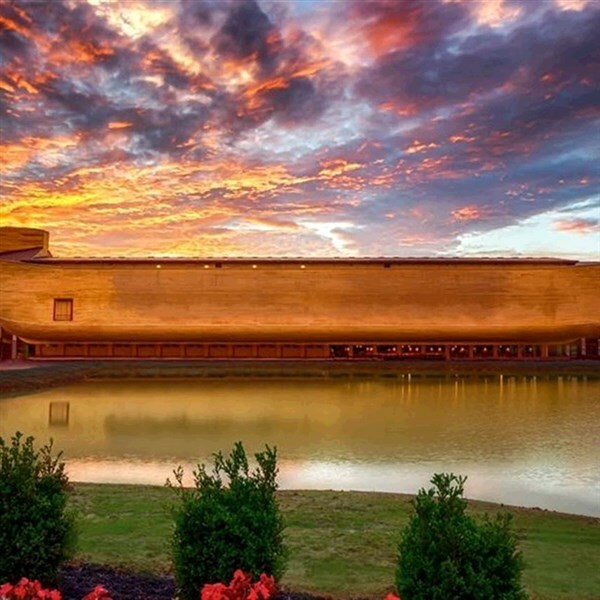 This very special tour for 2019 highlights one of the newest and most amazing attractions of our lifetime which opened in the United States in 2016 - the "Ark Encounter", a full size replica of Noah's Ark. Join us on this amazing adventure and experience a life changing event. We will depart this morning and enjoy a day of travel towards the Cincinnati, Ohio area where we will stay for two nights. We will check in to our lovely host hotel before our evening out aboard the Queen City Riverboats including dinner and cruise along with musical entertainment. Starting your morning with an included full breakfast. We will depart this morning for the highlight of our trip and head to the amazing new attraction, the Ark Encounter, a full size Noah's Ark, built according to the dimensions given in the Bible. From the moment we turn the corner and the towering Ark comes into your view, to the friendly animals in the zoo, to the jaw-dropping exhibits inside the Ark, you'll experience the pages of the Bible like never before. Spanning 510 feet long, 85 feet wide and 51 feet high, this modern engineering marvel is full of world-class exhibits designed to answer your questions about the biblical account of Noah's Ark, and is now considered the largest timber frame structure in the entire world. Have you ever wondered how big Noah's Ark was? How did Noah fit all the animals on board? How didNoah feed and care for all the animals? 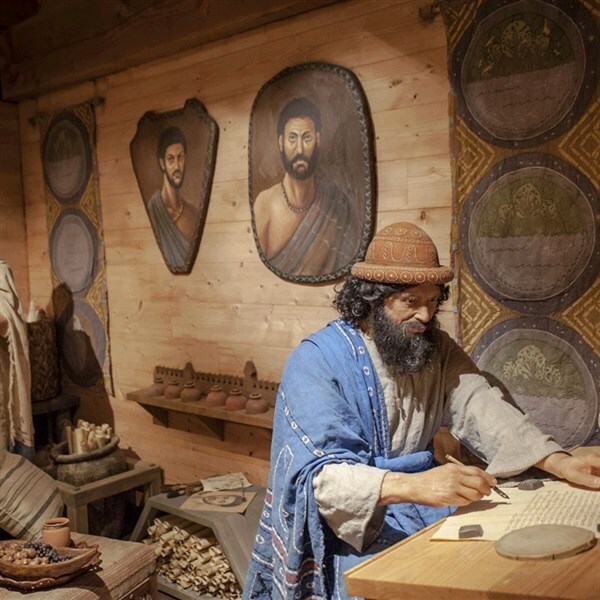 This full size replica will answer all these questions and more as you explore three decks filled with scores exhibit bays allowing you to experience what Noah's life may have been like. 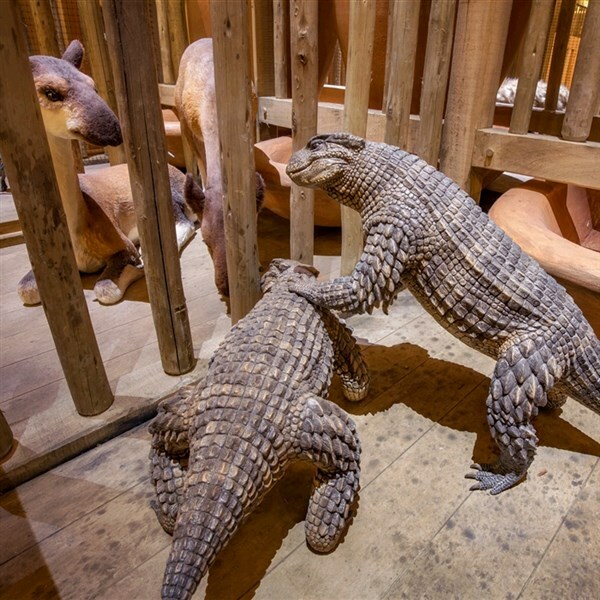 Guests are welcome to take home lasting memories by photographing and recording the Ark Encounter exhibits. However, no photography of the video presentation is allowed. There will be time during our visit today for everyone to have lunch on your own, at the 1,500 seat restaurant located adjacent to the Ark. 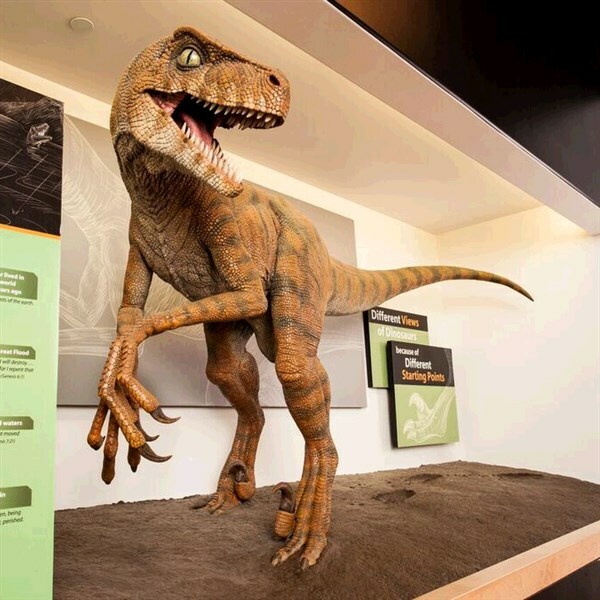 This brand new attraction in our United States of America (just opened July 2016) is something you won't want to miss. We will return to our hotel late this afternoon after a full day at the Ark. A special dinner is included tonight at a unique local restaurant with live entertainment featuring Pam Temple and Spencer Funk in "Wasn't That A Mightly Storm". Full breakfast included. 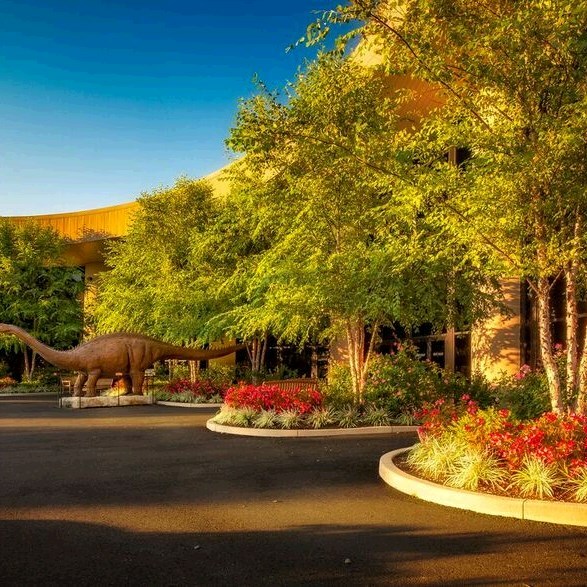 We will check out and then visit the amazing Creation Museum (which opened several years ago) where you will see how its interpretation of the Bible (the history book of the universe) provides an account of the begiinning of all things. You will take a journey through a visual presentation of the history of the world, based on its 7 C's of History...Creation, Corruption, Catastrophe, Confusion, Christ, Cross and Consummation...and discover how science confirms biblical history. There is an abundance of things to see at this well-done museum which is divided into unusually configured spaces that allow for personal interaction with each of the 160 exhibits. In addition, you can visit the beautiful seasonal Botanical Gardens with a large variety of walking paths, petting zoo and very extensive gift shop. During your visit you will have a couple dining options for lunch on your own at the museum at the eateries. Early this afternoon we depart for home after an inspirational and amazing trip. Includes: Deluxe motorcoach transportation, hotel accommodations for 2 nights near Cincinnati, 2 breakfasts, 2 dinners, all touring, attractions and admissions as described in itinerary. Walking Code 4: This tour requires a heavy amount of walking. To truly experience the program and destination, you need to be able to participate in physical activities such as long walking tours, walking over uneven terrain, climbing stairs and periods of standing. Some of the touring days may be longer, with select included activities occurring later in the evening.